SACRIFICING $50,000 BELOW REPLACEMENT COST! Be QUICK, these opportunities won’t last long. A complex meticulously constructed and designed, this apartment is held by an overseas based owner and his instructions are clear – SELL! You will be captivated by ‘Monde Apartments’ the minute you walk into this stunning 3bed, 2bath residence. This stunning apartment features spacious and stylish entertaining areas, perfect for hosting friends and family for a Sunday lunch. The excellent floor plan allows for great separation between the bedrooms, superb flow from the living/dining to your generously sized balcony area that captures lovely leafy aspects. Upon your entry you will note the modern touches and the spacious open-plan design. The kitchen has also been tastefully designed with its stone bench tops, beautiful cabinetry, Stainless steel appliances, cook top, dishwasher and timber featured over head cupboards to name a few. All with quality in mind, your three bedrooms (each with built in wardrobes/fans/), the master bedroom is well-sized and features its own ensuite and direct access to the lovely balcony area. Enjoy the convenience of living moments from parks, shopping, restaurant precincts and connect with your friends at your favourite inner-city destinations. This vibrant new lifestyle presents you with low maintenance grounds in a highly secure boutique complex of just 9 apartments. Additionally, heightened security access, visitors parking and lift access are some of the extras of this lifestyle complex. 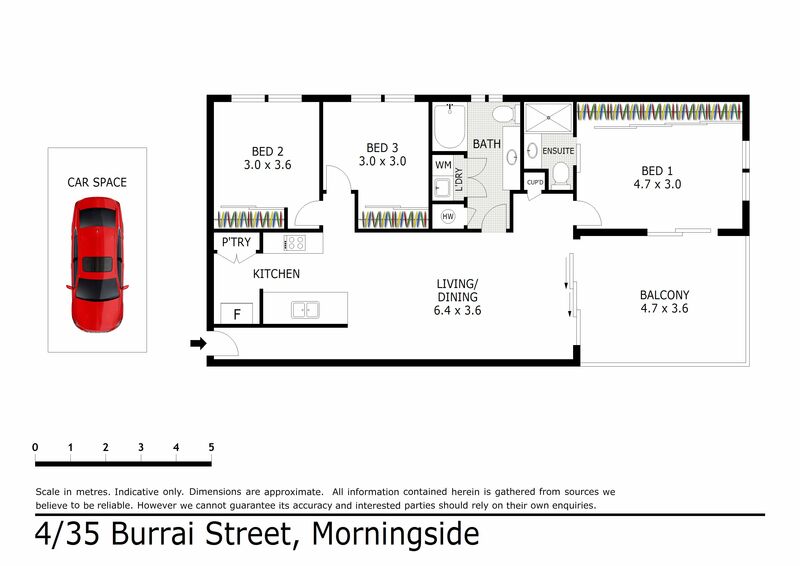 ‘Magnolia Sun’ is recently developed in 2015 and is perfect for the owner occupier or astute investor. This blue ribbon address will deliver the premium lifestyle you have been dreaming of so don’t waste another minute – view this property today! This property is being sold without a price and therefore a price guide cannot be provided. The website may have filtered the property into a price bracket for website functionality purposes.